Brussels Expo can offer you ideal rooms for your congress at two of the most prestigious sites in Brussels: the Atomium and the Grand-Place. The P12 has a large frontal area of more than 5000 seats and side stands for a capacity of 1600 people. 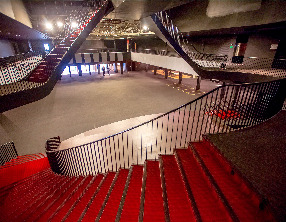 The Auditorium 500 is adjacent to the Hall 7 and can accommodate up to 400 visitors. 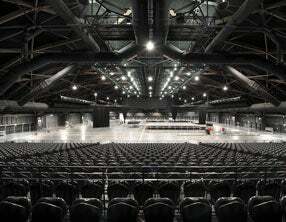 The EXHIBITION HALLS also offer numerous possibilities for hosting large-scale congresses. La MADELEINE is a special event room accommodating 250 to 630 persons seated. With their illustrious past, our art deco halls have hosted the most prestigious national and international congresses. 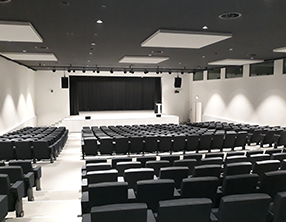 The modularity of our halls and the connection of various spaces between them ensure that we can provide the ideal solution for every configuration and requirement for each individual event. Thanks to our long experience of more than 80 years in hosting congresses, we are able to advise you on the best solutions. Our facilities also offer you dozens of meeting and break-out rooms, as well as numerous possibilities for creating them, depending on your requirements and preferences. 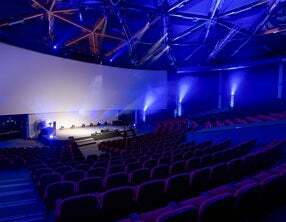 Since 2013 Brussels Expo has an extra arrow in its bow because Hall 12 has been totally transformed into a concert hall, with the very latest technologies. 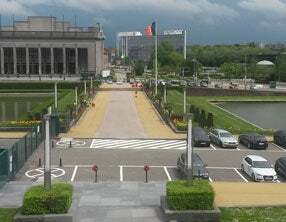 It is also the largest plenary room in the capital.